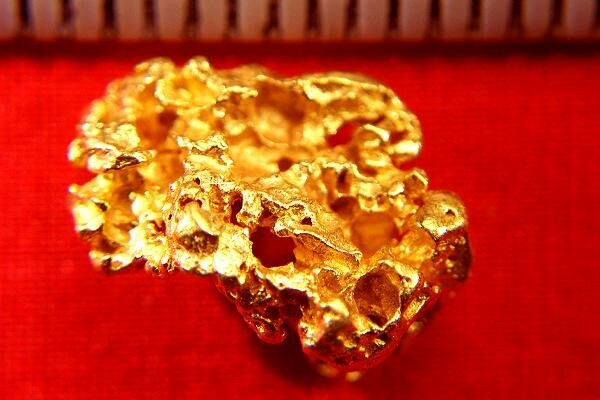 This Australian Gold Nugget from Western Australia is extraordinarily beautiful. It has a very interesting and intricate textured surface. The weight 4.8 Grams and the size is 5/8" (16 mm) long. That is a large surface area for the weight of this gold specimen. 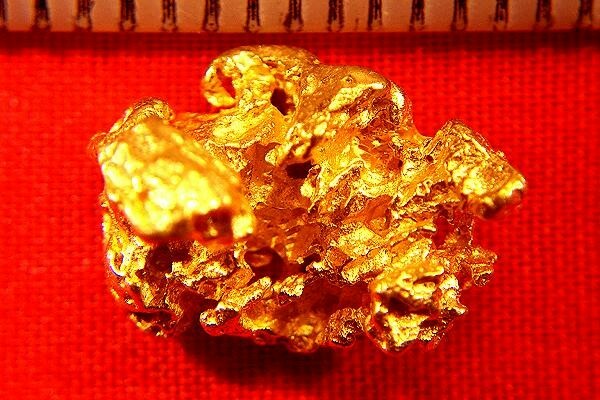 Investment grade Australian gold nuggets are some of the purest natural gold nuggets that you will find anywhere, usually about 23 KT (92% to 98% pure gold).